In this extended segment fom the RTÉ “Liveline” radio show on Tuesday 13th May 2014, we hear from two past presidents of the representative body for architects (RIAI), Michael Collins and Eoin O’Cofaigh. They discuss numerous issues, from the difficulties that SI.9 contains for self-builders, added costs and certification difficulties, to alternative low-cost comprehensive alternative systems for building control in Ireland. Amanda Gallagher, along with other self-builders, explore the extraordinary cost of SI.9 to their plans since March 2014. Misrepresentative advice from Minister Hogan and his Department regarding the costs of SI.9 on a typical house and the status of self-building are discussed. The huge costs due to the administrative demands of the new system and extraordinary uncertainty about future issues such as retrospective compliance are highlighted by contributors. 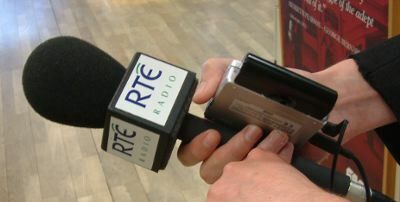 The show’s host Joe Duffy notes previous RTE interviews by Minister Hogan where the impacts on house building were stated as being negligible and status of self-building was noted as being unchanged. The reality for many contributors, normal consumers and citizens, suggested that many self-build projects would be abandoned due to massive costs associated with increased red-tape for the new building regulations. Current Law Society advice to professionals not to certify self-builds was noted also. Contributors suggested that, despite best intentions, the regulations were a mis-calculation possibly due to inadequate briefing by the Department. The points made by non-professional contributors was backed-up by both ex-presidents of the RIAI, who reiterated unanimously adopted policy that acknowledged the new regulations would not give consumers any added consumer protections. As the new regulations were still a system of “self-regulation” it was unlikely that another “Priory Hall” disaster would be prevented. They also talk about the advantages of a system of independent inspection similar to that which can be seen in Northern Ireland and in England at no cost to the consumer. Amanda Gallagher stated that Ireland now, to it’s shame, was the only country in the world effectively banning self-building- “even North Korea allows ordinary people to build their homes”. All agreed that this was made more ridiculous given the acute housing shortage, recent incentives by the government to developers, contrasting with recent UK efforts to stimulate and encourage the self-build sector. The consensus in the programme was that self-building was precluded by difficulties contained in Building Control (Amendment) Regulation (SI.9 of 2014).